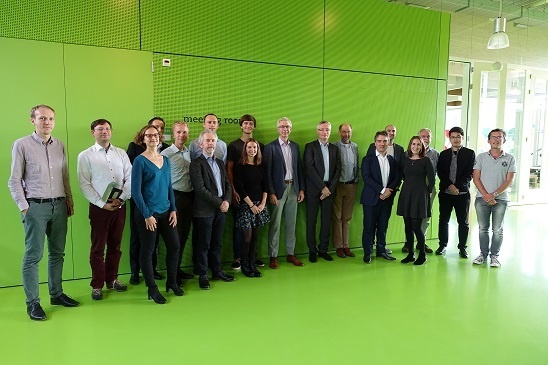 During a festive workshop on September 21, AMOLF has celebrated that the new Time-Resolved Cathodoluminescence SEMs are giving their first results. The group of Albert Polman is now able to make 2D maps of CL spectra, lifetime, and photon-photon correlations in the Quanta650-SPARC system. In addition, their 250-fs-laser-driven XL-30 system has provided the first pulses and they are installing the optical system for pump-probe experiments. The Time-Resolved CL project is a collaboration between AMOLF, ThermoFisher-FEI and DELMIC. A new review on cathodoluminescence (CL) has been published in Applied Physics Reviews last month. The review starts with an introduction to the history of CL and continues with summarizing the fundamentals. 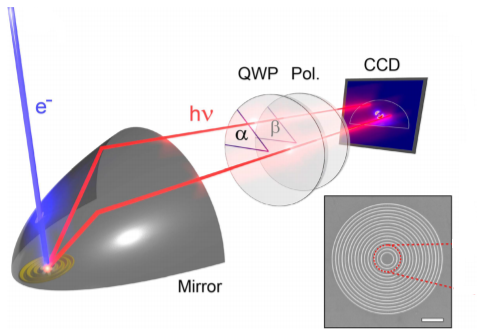 After that, the authors briefly touch upon state-of-the-art CL imaging and spectroscopy and then move on to recent novel experimental approaches such as Angle- and polarization resolved CL, time-resolved CL, 3D CL and STEM CL. This morning we hosted another webinar together with our Australian distributor AXT. This webinar was specifically targeted at life science researchers involved in areas such as cancer biology, diabetes research and neuroscience. 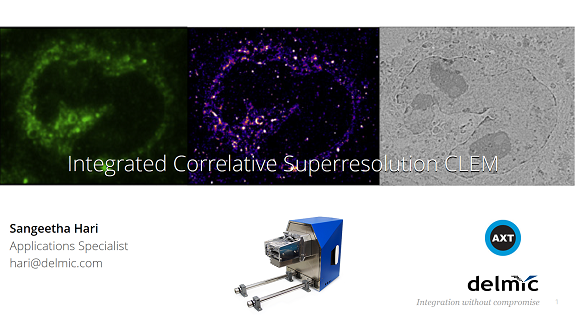 In the webinar, our application specialist Sangeetha Hari presented our SECOM SR system which is an integrated platform for CLEM that uses super resolution optical microscopy in combination with a scanning electron microscope to perform SR-CLEM. The principle of operation, details of CLEM, hardware, open source software-based operation and scripting, as well as sample preparation were discussed in this webinar. For those who have missed the opportunity to watch the webinar live, it is now available on our website for free.